After leaving Pueblo, Colorado our plan was to stay near Boulder for a few days, visit the Rocky Mountain National Park and then work our way up through Yellowstone on the way home. Well, it is snowing/raining in both national parks so that is just not an option. We drove up to Golden Gate State Park in the mountains west of Boulder on Friday, which was a beautiful drive, only to find 4-6″ of snow on the ground at the park- so not camping there! 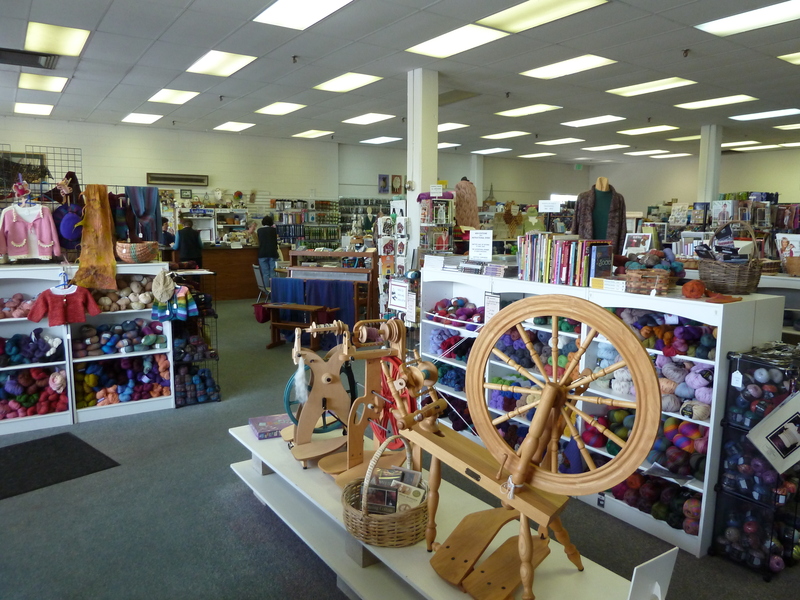 Drove back down to Boulder and fulfilled my mission of visiting Shuttles, Spindles & Skeins, a fabulous yarn store. 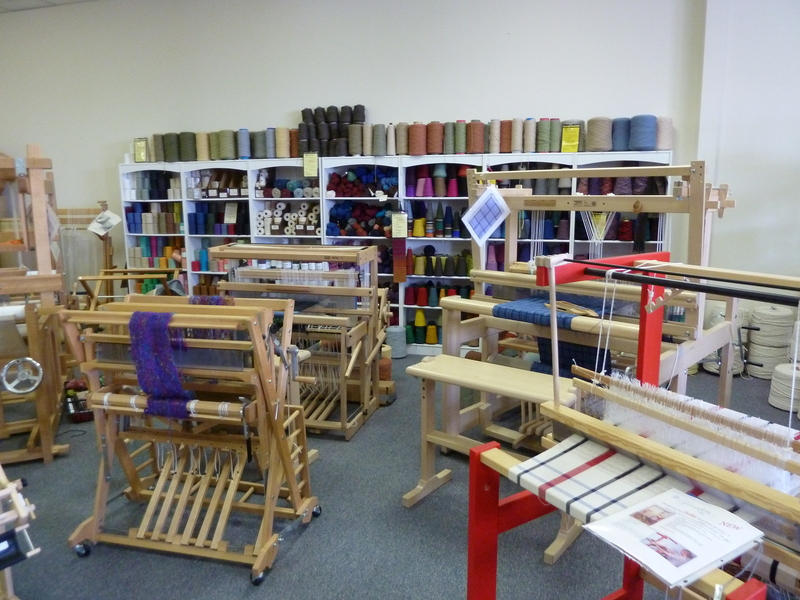 My mentor, Judith MacKenzie, told me about it years ago – they have a lot of mill ends for weaving. 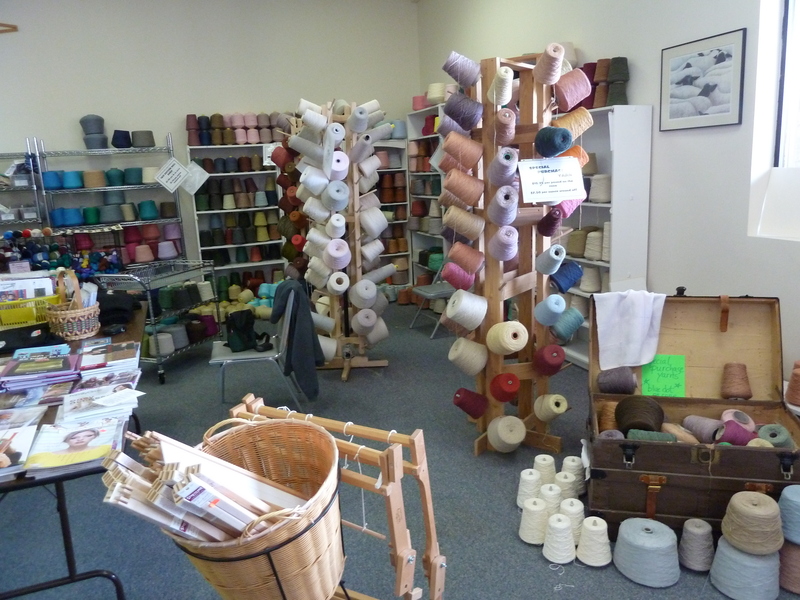 But they don’t show these on their website, as it is a constantly revolving and unpredictable selection. 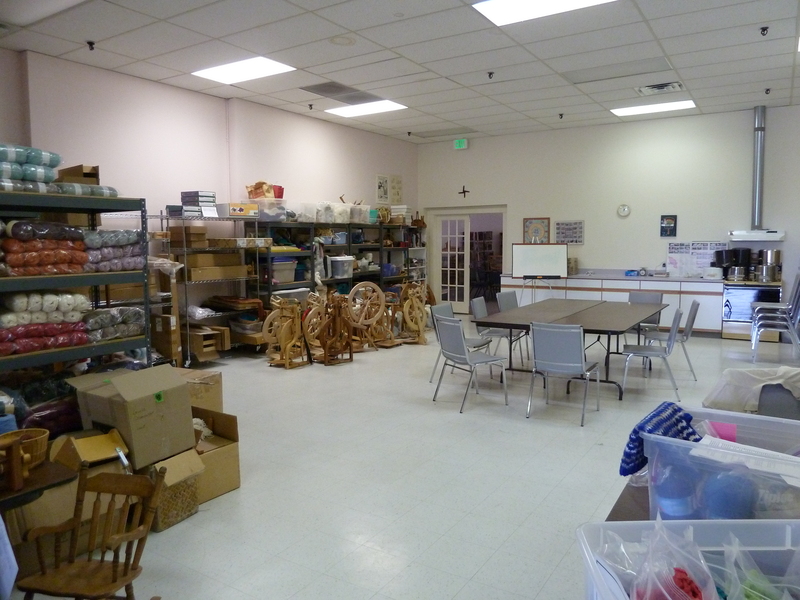 The place is huge and staff very friendly and helpful. From Boulder we drove north and stayed at Boyd Lake State Park just south of Fort Collins. Although we drove in through essentially a suburb, the park itself was very nice and we were able to go for a bike ride on their extensive trail system before leaving the next morning. 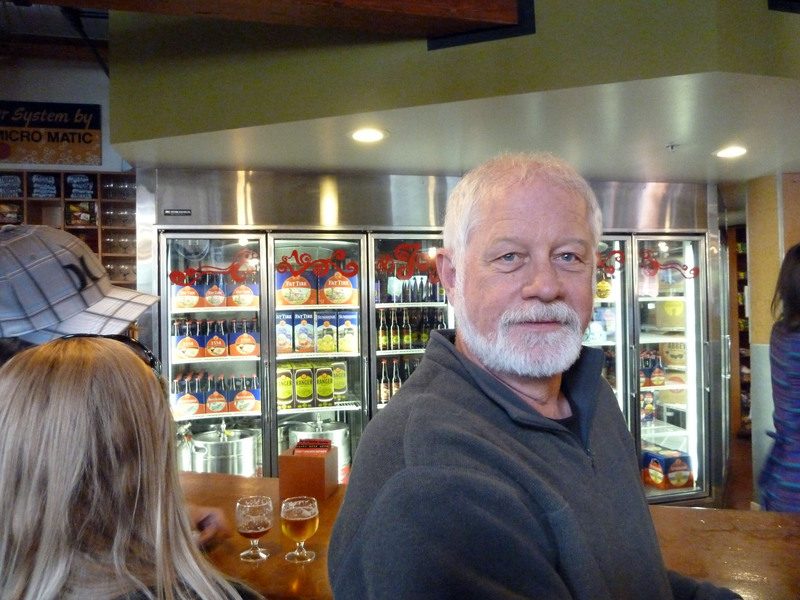 We also went up to Fort Collins Friday afternoon and visited the New Belgium Brewing Co. (think “Fat Tire” and others). Quite the scene, being late Friday in a college town! 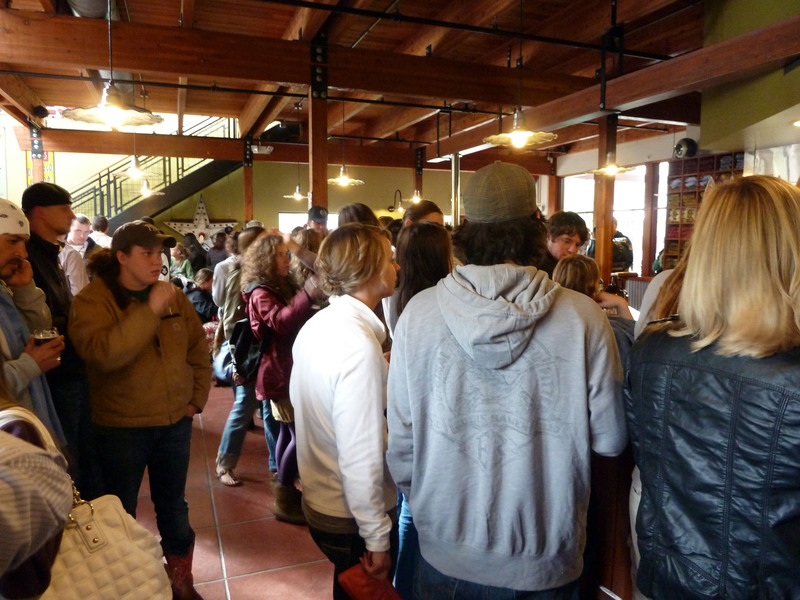 But they give out 4 free tasters per person so between us we were able to try 8 different beers, including seasonal specials. Kind of fun! Yesterday we started working our way north into Wyoming, where it was (is) extremely windy, with some pelting rain mixed in last night. 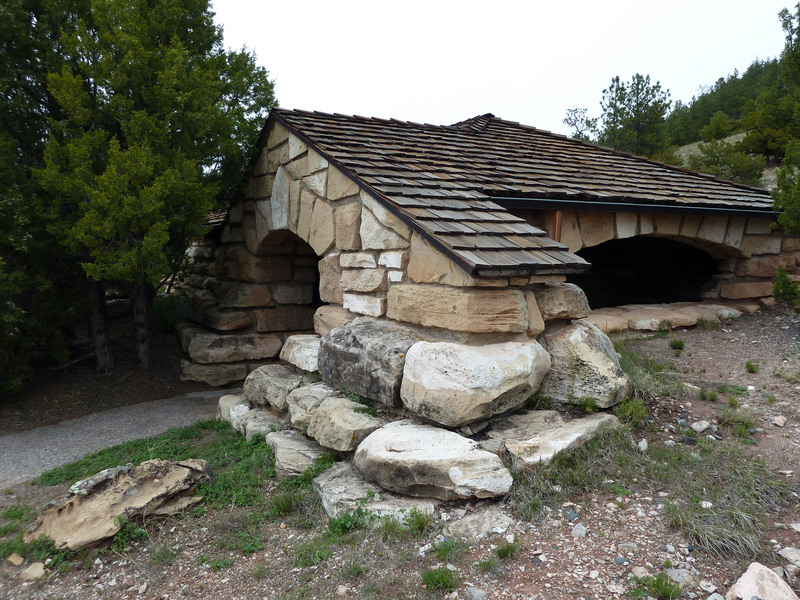 We are staying east of the Rockies for now, and visited Guernsey State Park to see the historic CCC buildings there, and also Fort Laramie. Thought we would stay at the state park, but due to the nasty weather of late they were not really set up and open yet. So we holed up in a KOA at Douglas, WY last night and rode out the storm. Today it is still very windy, but at least the sun is out! Since I was a child, I’ve always admired the ccc style. Thanks for the up date! Hi Diana! The other neat thing was that the museum exhibits in that building were designed and installed in the late 1930’s, and all of them were still there, plus a couple of updated ones from later years. It was a real trip into the past.